We are already in a festive mode. Isn’t it? 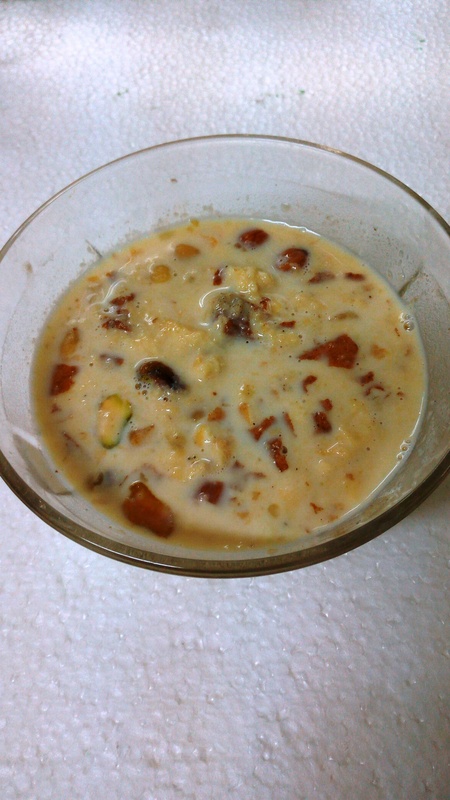 To save your time and make you the rockstar in making desserts, here I am, with the simple recipe of Rabri. Rabri is a famous dessert in India. It is made by boiling milk on low flame for at least half an hour. The traditional recipe of Rabri involves condensed milk (khoya) and sugar but I’ve skipped both these ingredients in making this dessert. Since, milk already contains sugar, I have tried not to use it and make the Rabri healthier. Here is the step by step guide to making rabri or rabdi, an Indian Dessert. The only twist is, I'd made rabri without sugar. Boil milk once on high flame. Lower the flame and let the milk boil again. Add half of the chopped dry fruits . With the help of a flat spatula, collect the cream or malai on sides. Do NOT stir the milk. Cook for at least half an hour or till the milk is thickened. Switch off the flame. Take Rabri out in a serving bowl. 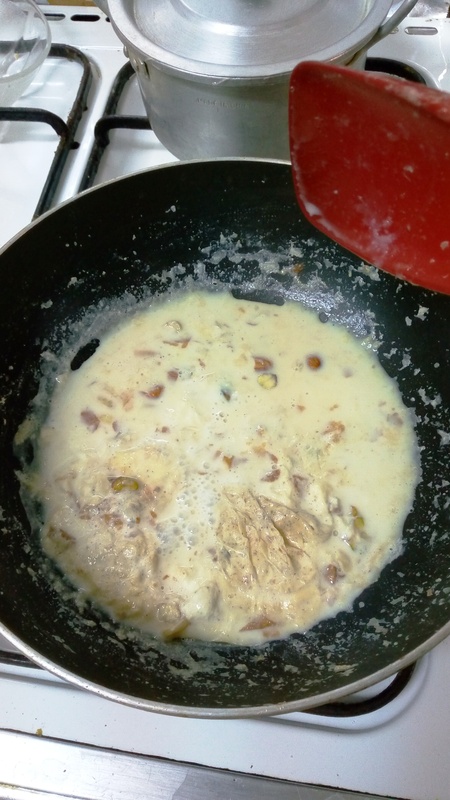 Boil milk once on high flame then add green cardamom pod. When the milk starts boiling again, lower the flame. Cream (malai) will start to accumulate over. With the help of a flat spatula, collect the cream or malai on sides. Do NOT stir the milk. collect the cream or malai on the side. Add half of the chopped dry fruits and keep the rest for garnish. Keep cooking at low flame for at least half an hour. Keep repeating the above process of separating the cream or malai at the sides. If the milk starts sticking, slightly mix it with the help of spatula. Do not mix the cream with milk. 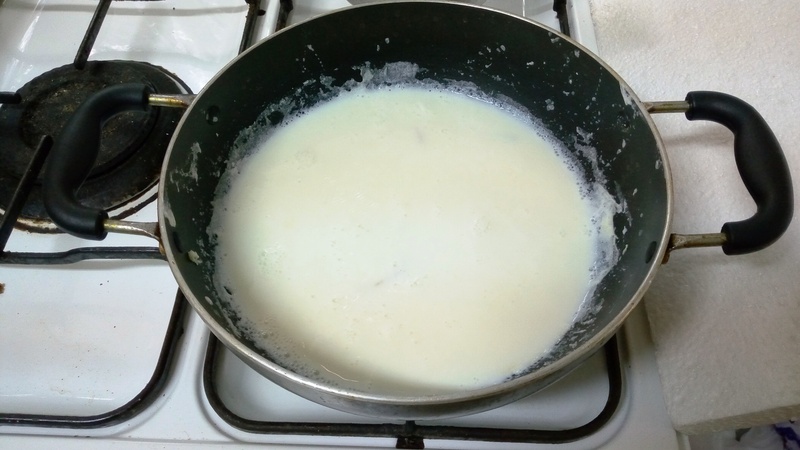 The milk will start to thicken and you will find that the amount is less now. This is the right time to switch off the flame. Rabri is ready. Take out the rabri in a serving bowl. Garnish with the chopped dry fruits. Serve it hot or cold, it’s your call how you want to have this delicious dessert. Or have it with falooda or other sweets like gulab jamun and jalebi. I had added elaichi or green cardamom pod for flavor and aroma. It’s totally optional, you can add any other flavour like rose petals or vanilla esssence. Secondly do not keep milk over high flame, otherwise it will stick at the bottom.